Brand new K2 Shreditor from 2016 with green Look Pivot 14 bindings mounted on them. 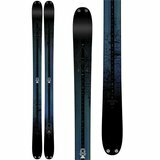 The skis are brand new, the bindings were used for 1 season and are in great working condition. Photos are not mine, skis are up at my condo. New England sales only. Interested in the shreditors. Would you sell just skis without bindings? Im up at college, 5 hrs from the skis. I could probably drive down in 2 weekends. I can drive down and sell them separately if I have someone 100% buying the skis. $315 for the k2's, $110 for the bindings. $415 if you buy the pair. No negotiating don't waste my time, it'll take an entire weekend to make it happen.